Launched this year at Baselworld, the new Alpiner Automatic AL-525 is inspired by a classic Alpina model from the 1950s. By incorporating a box-type sapphire crystal, the designers were able to subtly inject a retro element, into an otherwise contemporary wristwatch. Protected by a glare-proofed box type sapphire crystal, the domed gray sunburst finish dial is one of my favorite features of this watch — especially with the nice contrast of polished rose gold applied Arabic numerals, indexes, and hands. The Alpiner Automatic is also available with a silver dial that has nickel hands and markers, a black dial with nickel hands and markers and silver dial with yellow gold plated hands and markers. I personally prefer the gray with rose gold, but all versions look sharp. The rose gold-plated hour and minute hands are Dauphine-shaped and are faceted and polished. The central second hand is rose gold-plated and has a red Alpina counterweight. A rose gold framed aperture at 6 o’clock indicates the date. 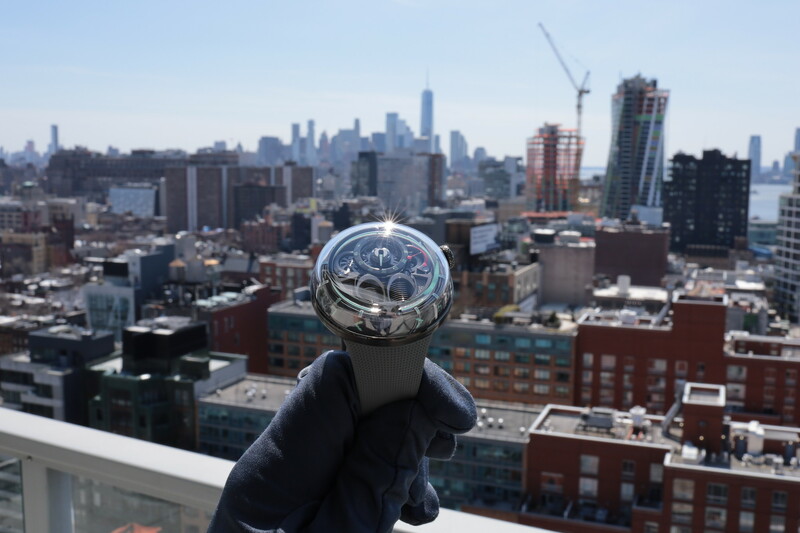 The hour and minute hands are treated with white Superluminova, and there are also white luminous dots (two dots at 12 o’clock) on the outer ring for each hour marker. A minute track is printed in white on the outer ring. The stainless steel case of the Alpiner Automatic measures 41.5 mm in diameter by 10.80 mm thick and 50 mm from lug end to lug end. The case is cut straight, meaning it is not curved, and it has short lugs. It wears very nicely on the wrist, but it should be noted that due to a thin bezel it appears bigger than a 41.5 mm watch normally would. That is something inherent of any watch with a thin bezel. This is the type of design you typically see on a dress watch, and when you combine it with a somewhat sporty design, it creates a distinctive look that is perfect for multiple occasions. The domed grey sunburst finish dial is one of my favorite features of this watch. 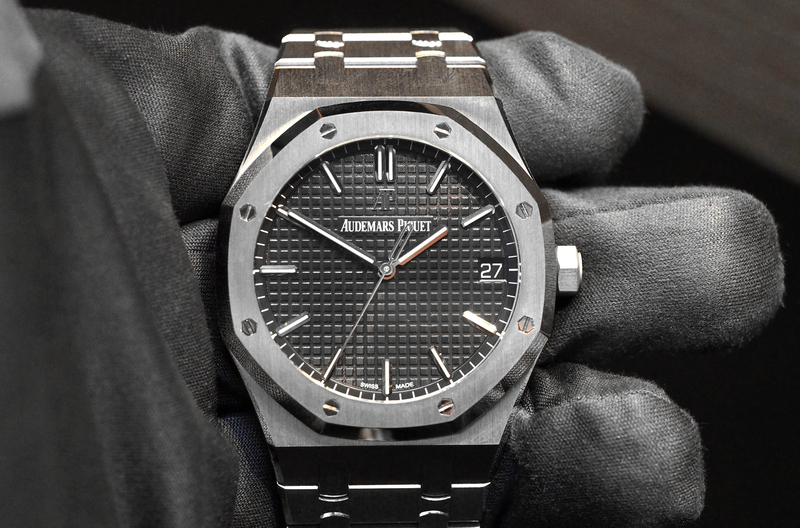 The watch is light at 71.9 grams, on the strap. It also comes on a bracelet, which is heavier, of course. I prefer the strap, which is black or brown depending on the version you choose. The gray dial (shown) comes with a light brown genuine leather strap that has been printed alligator pattern, with off-white stitching. The case features a polished, fixed bezel, as well as polished lug edges and crown. The rest of the case has brushed surfaces. The two-positon stainless steel crown has an embossed Alpina triangle symbol and is non-locking. It is the proper size to wind the movement and make time adjustments with ease, while not digging into your wrist. The back of the case is solid and screws down. It has an engraving of the iconic Alpina “3 summits” symbol, representing the Jungfrau, the Monch, and the Eiger. The Alpine brand signature since 1883. Water-resistance is 50 meters. While Alpina does make in-house manufacture movements; this model utilizes a self-winding Sellita SW 200 (which is comparable to an ETA 2824). It beats at 4Hz, has 26 jewels, has a 38-hour power reserve. Functions include hours, minutes, seconds and date. 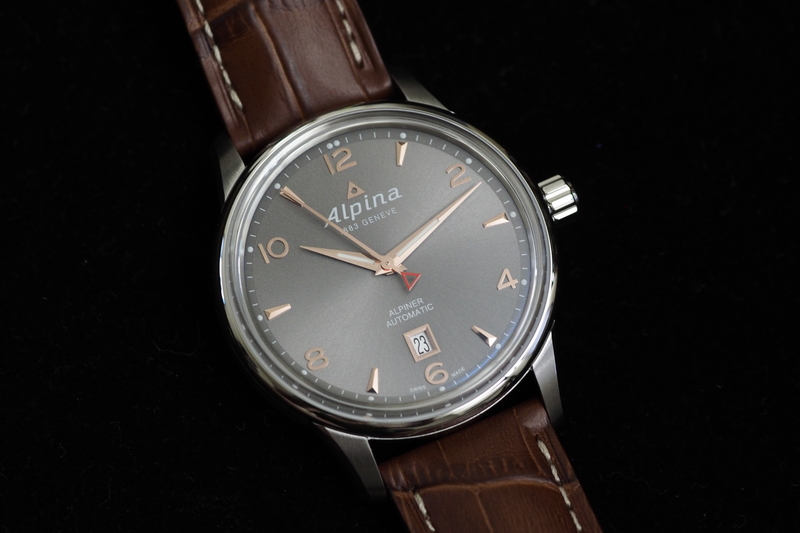 It would be nice to see future iterations of the Alpiner Automatic with Alpina’s manufacture caliber. But it is important to note, like with all ubiquitous movements, it is advantageous not just in keeping the purchase price low — but also the service price as well. 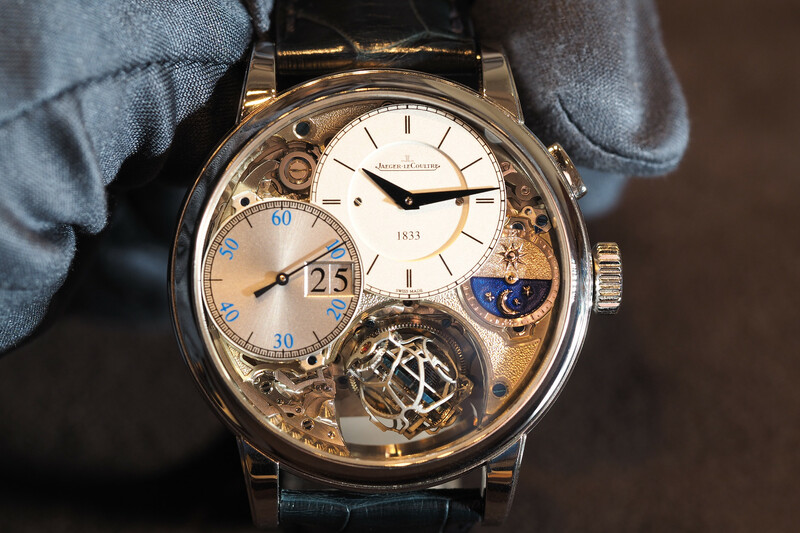 Unlike a proprietary manufacture movement, any watchmaker can service this.